Three great, 1" scale accessories, made c. 1960, by an artist. First is the Big Chief notebook that opens and has many blue-lined pages and a cardboard back with black band at the top, made just like the real Big Chief notebooks so popular in the 1950's and early 1960's. Ignasius Riley wrote in such a "Big Chief" notebook in the book, "A Confederacy of Dunces." 1 1/8" long and 3/4" wide. Then there is a tiny ruler with numbers and lines which is 1" long. And a pair of glasses made from brass with lenses in them. 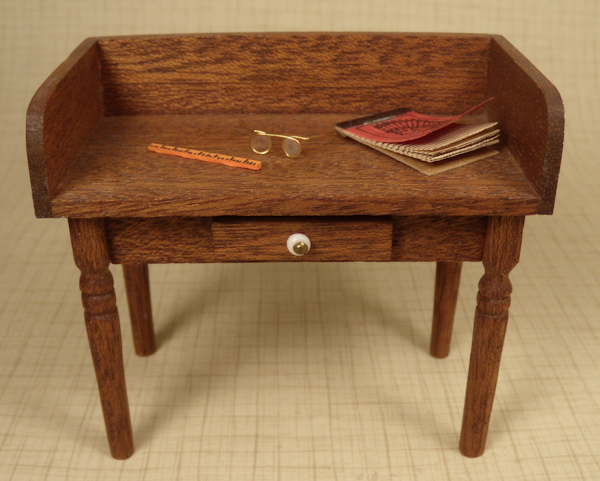 All are 1" scale and shown on a 1" scale desk (desk is sold separately). Very nice condition and hard to find tiny accessories. 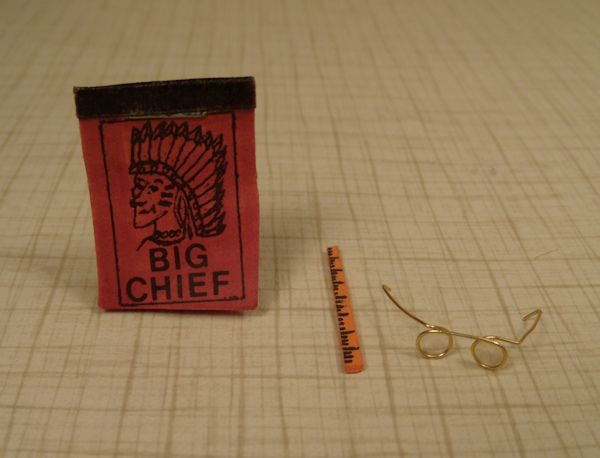 I am interested in purchasing Big Chief Notebook Ruler & Glasses.